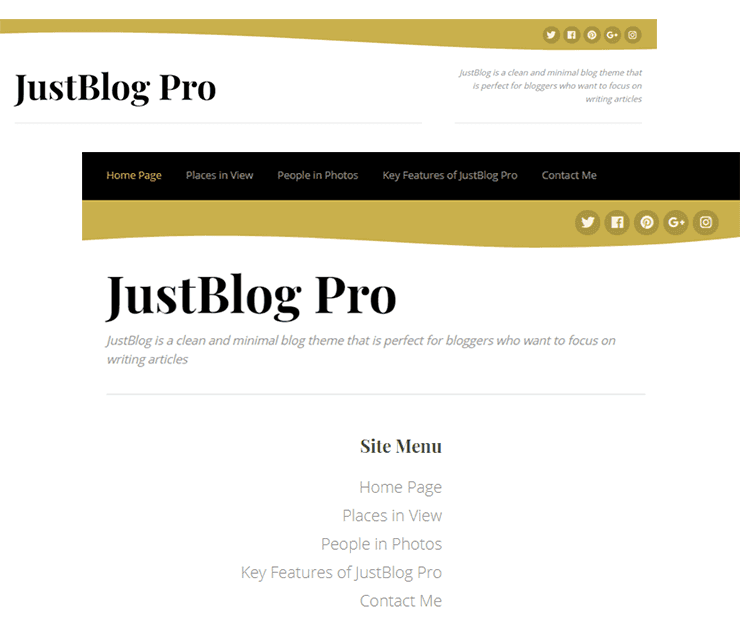 This theme includes three header styled layouts where the default will show your custom main menu just below the site title as most themes do. The second style places the main menu in the upper right, while the third has “no menu” in the header area except when in mobile mode. What is unique about this option is that it does not have a main menu location in the header as most themes do. This lets you use a sidebar menu like this demo is showing. However, when in mobile view, such as a tablet, you will discover the menu is then shown at the very top of the page because our sidebar floats below the main content out of sight when you are at the top half of the page.